Share the post "NJAES – Addressing Tomorrow’s Challenges Today: Commercial Agriculture"
New Jersey is an anomaly in U.S. agriculture. One of the smallest states, it is nonetheless a top 10 producer of numerous commodities. Agricultural production per acre is more than three times higher than the national average. Ensuring a vibrant and robust agriculture means focusing attention on developing novel markets while sustaining a strong showing in conventional commodities. New Jersey’s growing and diverse population offers ample opportunities for expanding into new markets. 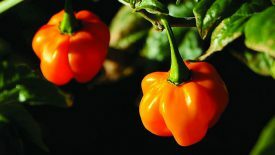 NJAES’ extensive research on ethnic crops has resulted in the release of the pumpkin habanero from its exotic pepper breeding program. Meanwhile, on the heels of the state’s thriving development of wineries and wine grape production, New Jersey’s “farm-to-mug” movement is taking off, with a doubling in the number of microbreweries in the last few years. 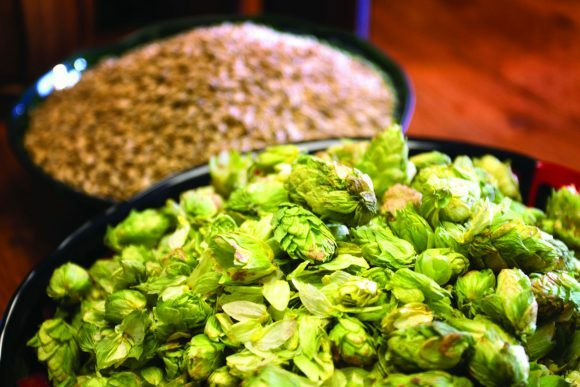 As many craft brewers seek locally grown ingredients, NJAES researchers are examining the best practices for growing and analyzing hops, and conducting trials to evaluate malting barley varieties to meet the demands of this expanding market. This article originally appeared in the NJAES Annual Report for 2017.